Her diligence, commitment, energy, creativity, thoroughness, passion, integrity, high standards, patience, and relentlessness to deliver – is all true. If you’ve read the other reviews, you know what I’m talking about and I agree with every word. I cannot add more unique adjectives to describe a woman is as talented and resourceful as Alice so instead, I will describe what is unique – the experience with which she helped shape. I met Alice by coincidence while I began attending a new church. I learned from our few interactions that she was organized, dedicated to her work, knew how to listen and above all fun. She was the first person that came to mind when I decided to run for office, but she would be almost the last person I hired after my campaign manager, consultant, and accountant, but the most critical part of the team. I knew she could successfully coordinate events and that she would work well under pressure. Her skills and experience were enough that not having worked on a campaign before or having been politically involved, was not of concern. We met twice, each time for over two hours to get to know one another better. She put more thought into accepting the job than I did into offering it – and rightfully so! I don’t know many non-political junkies (or people) who would sign up for a Monday through Sunday, round the clock schedule for three months . . . and on a tight-budget. 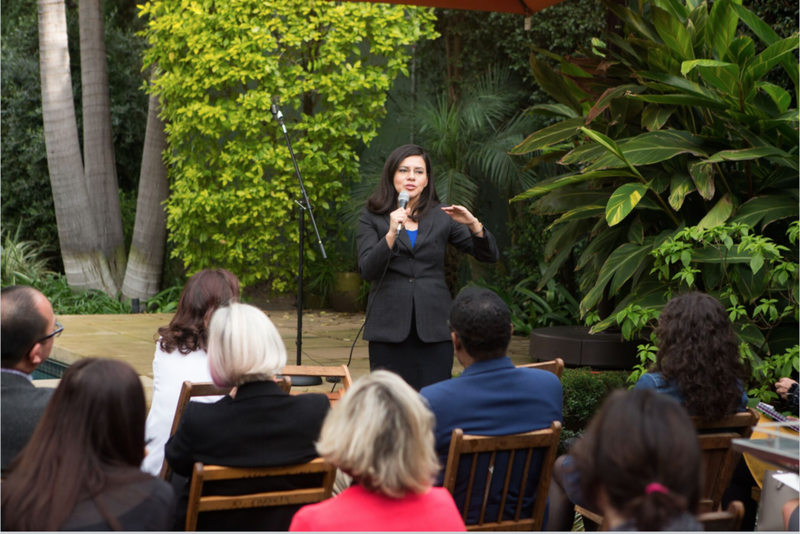 The work initially entailed organizing events such as a campaign kick-off, fundraisers, coffees with supporters, voter canvasses, and prepping for additional hosted events such as candidate forums, debates, and presentations. Alice immediately assumed many, many, more responsibilities. She used her extensive network to recruit additional talent and skills needed, she produced two campaign videos, managed scheduling for me, the staff, and volunteers. She assumed responsibility over social media and our website content ensuring all messaging was consistent, she helped make hiring decisions, she communicated regularly and supported staff and volunteers to ensure they succeeded with their goals, helped to make difficult and swift decisions when needed, and would provide prep for me for all speaking engagements. Though the schedule was gruesome for everyone involved, Alice never showed fatigue, complained, or took short-cuts. Instead, she made sure volunteers had a positive experience – were fed well, felt appreciated, and wanted to come back. Wait! There’s more, she also provided guidance and mentorship to college interns wanting to prepare to join the work force. Often times, she would work through the night and into the morning unbeknownst to me until much later. I have no doubt that Alice was integral in maintaining a high standard campaign that reflected the values I hold dear. As a new mother at the time, I also had additional needs and demands on my time many candidates usually do not have to consider. Alice always took my family and my priorities into account, which provided me with the grounding and love I have too often seen others lose in the process. There was one special lesson I learned because Alice was on my team, many cross the finish line, but not all do so in-tact, with no regrets. I can say I did so. [When Alice Issac is on your team, you know she’s behind you 1000% and will not disappoint or let you fail.] Though we were unsuccessful in winning with votes, my campaign team and I were the winners in more important ways.